Biographical information can be found here. Originally from Transylvania, Katalin Lukacs is a prizewinning pianist based in New Orleans. As a soloist she has appeared with orchestras both in Europe and in the United States. In addition to performing works of the classical repertoire, Katalin is an avid promoter of contemporary music. 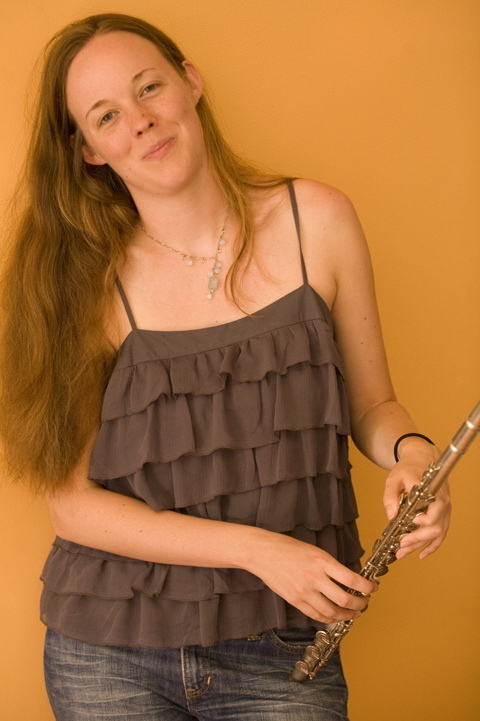 She has appeared as a soloist and chamber musician at new music festivals in the United States and Europe including the Darmstadt New Music Courses in Germany, the Ostrava New Music Days in the Czech Republic, the SEAMUS National Conference in Eugene, Oregon, the TWEAK Festival in Limerick, Ireland, among others. She has performed with new music ensembles redfishbluefish, Ensemble Zs, SONOR, and Ostravska Banda. She performed on the Los Angeles Philharmonic’s Green Umbrella Series and on UCSD’s Camera Lucida chamber music series. She is featured on recordings of many 20th century composers including releases on Mode and New World Records of Stockhausen, Scelsi, and Stuart Saunders Smith. Together with soprano Stephanie Aston she recently formed ASTRALIS, a voice and piano duo focused on promoting contemporary music. 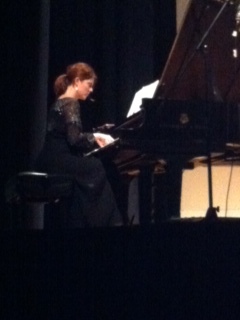 Katalin holds a Diploma in piano performance from the “Gh. Dima” Music Academy in Cluj, Romania, a MM from The University of Alabama School of Music and a DMA from The University of California at San Diego. Since 2011 Katalin lives in New Orleans with her composer husband and young daughter. She holds the position of Adjunct Professor at Tulane University, and is active as promoter of contemporary music, educator, and vocal accompanist. Laura has an MA in Arts Management from American University and a BM in Flute Performance from the University of Southern California. Her previous work experience includes the Departments of Cultural Affairs at the US Department of State and the Organization of American States, New York Youth Symphony’s Chamber Music Program, A Midsummer Music Quebec, CW Post Long Island University’s Summer Festival, and Opera France. 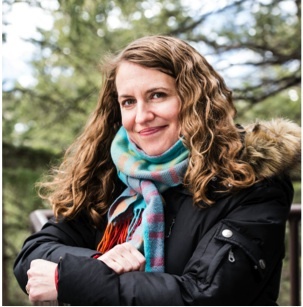 She is currently the Executive Director of Make Music NOLA, an El Sistema inspired program in New Orleans, LA. In addition to administrative work, Laura also has 9 years of experience teaching group classes and private lessons. Her teaching experience includes working for the Harmony Project, an award-winning music education organization now serving 1,500 students in Los Angeles. She has performed at the Lima International Jazz Festival (Lima, Peru), the International Arts Festival (Rotterdam, Holland), Electronic Music Midwest (Chicago, IL), the Southern Voices Dance Festival, French Quarter Festival, Jammin’ on Julia, and Bach Around the Clock. Elise began her cello studies at the age of ten Detroit, Michigan and continued at the Lawrence Conservatory of Music and the University of Michigan, Ann Arbor. Her primary teachers included David Levine, Janet Anthony, Katri Ervamaa, and Jeanne Jaubert. Since college, Elise has been interested in expanding the meaning of “classical music”, co-founding an improvisatory music collaborative at Lawrence, premiering new composers’ music and touring with percussion groups and punk bands. She has performed at the Apple Hill chamber music festival and frequently in New Orleans, accompanying new choreographers, contemporary operas and organizing bi-yearly chamber music performances at the Marigny Opera House. Elise is a proud Early Childhood Educator in New Orleans public schools, and recently completed a Master’s Degree in Early Intervention. She seeks to provide an arts-integrated education for young children and practice what she preaches by sustaining an active musical performance schedule. Ray Evanoff (b. 1984) is an American composer whose work explores an array of personal interests, including succinctness, obfuscation, contradiction, the interplay of consonance and dissonance, and how individual works can be interconnected. 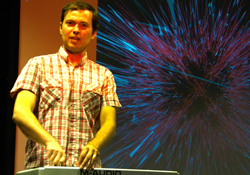 He has collaborated with and been performed by contemporary music specialists such as Ensemble Dal Niente, Distractfold, Ensemble Pamplemousse, Ensemble SurPlus, Liam Hockley, Seth Josel, Mabel Kwan, Kevin McFarland, Christopher Otto, Xenia Pestova, and Samuel Stoll, among others, in concerts across Europe and North America. His music has been included in the Huddersfield Contemporary Music Festival, Internationales Musikinstitut Darmstadt, Neuköllner Originaltöne, and the Sonic Fusion Festival, and his projects supported by the City of Charleston Office of Cultural Affairs, the Harry and Alice Eiler Foundation, MATA, New Music USA, the Royal Musical Association, and the University of Huddersfield. He is the director of FOCI Arts, a contemporary arts organization and online periodical, and a member of Versipel New Music. He studied at the College of Charleston and the University of Huddersfield, where he received his PhD in Music Composition in 2012. He lives in New Orleans. Rick Snow is a composer of acoustic and electronic music as well as a creator of multi-modal artworks of sound and light. Custom interactive computer sound and projection mapping instruments and installations comprise his most recent work. In this work he seeks to create situations in which audiences discover a complex “alien” generative system with its own memory and habits. These situations create an interaction between participant and work engaging the active memory and movement of both the participant and the system. His work has been performed/exhibited in many venues in the United States as well as selectively in Australia, Canada, Czech Republic, Germany, Ireland, Switzerland, and Wales.A few of his most recent projects include Wash: Awake -a generative installation for computer controlled transducers and projection mapping on a 40’x20′ hanging sculpture by artist Jamey Grimes, Arcanum: Memories Cryptic -a series of works for piano solo commissioned by Katalin Lukács, Singing Sweetly from a Spider’s Web – an interactive sound installation in which participants’ voices are transformed and re-presented as harmonic content in a network of sound synthesis, Postcards, Islands, Elegy, Distance -an orchestra piece commissioned by the La Jolla Symphony commemorating Charles Darwin’s 200th birthday, and Fenceless Fields of Grain -a percussion 12tet commissioned by Pierre Boulez and the Lucerne Festival Academy Percussion Ensemble. He holds the position of Professor of Practice at Tulane University where he oversees the Music Science and Technology area. He holds a Ph.D. from the University of California, San Diego. 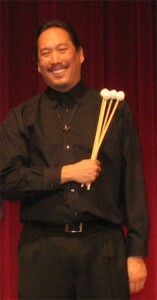 Mendel Lee is a composer, musician, and an Innovative Percussion Educational Artist residing in New Orleans, Louisiana. He earned his B.M. in Music Composition at West Chester University and his M.M. in Music Composition at the University of Oregon. 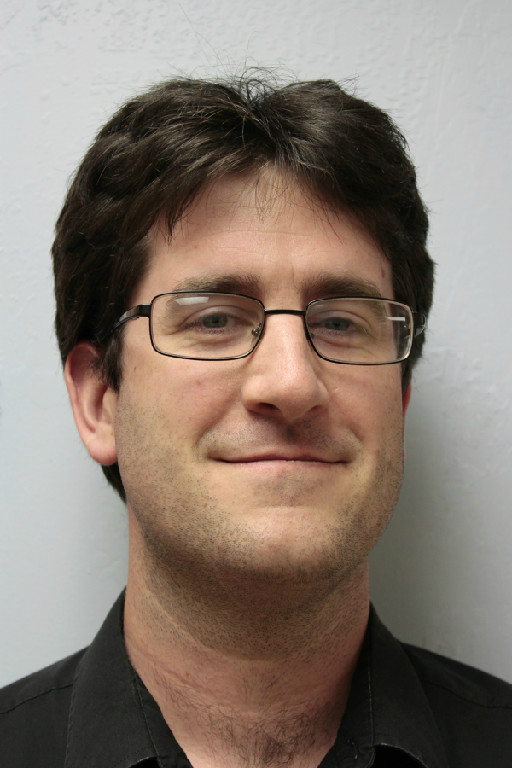 He is currently the Assistant Director of Bands at Tulane University in New Orleans, Louisiana and the founder and co-director of the nienteForte Contemporary Music Festival at Tulane University. In his spare time, Mendel is an amateur poker player, cashing in 8th place in 2009 and 1st place in 2011 of the Pot Limit Omaha tournament of the Winter Bayou Poker Challenge held in Harrah’s New Orleans. He is also the lead music and sound designer for his brother’s independent video game company dognebula. Trombonist Matthew Wright believes in the musician of the twenty-first century: the performer/composer/pedagogue. Matthew joined the Louisiana Philharmonic in 2011. He has previously held a position with the Syracuse Symphony Orchestra and moonlights with the Vermont Symphony Orchestra. He has performed and recorded with numerous big bands and chamber ensembles in Carnegie Hall as well as at Birdland, in Beijing, and in New Orleans. He can be heard on one of the Call of Duty video game soundtracks and in the 2015 movie Midnight Special. He was in the first horn section to play with the band Cake. He was a soloist with the Syracuse Symphony Orchestra, but he was dressed as Santa Claus. He has played in orchestras backing James Moody, Andy Williams, Yo Yo Ma, Randy Newman, and Placido Domingo. 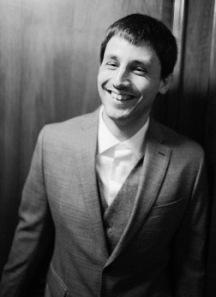 As a composer, Matthew has written and arranged many pieces for his own solo recitals. He teaches privately at the New Orleans Center for the Creative Arts, the University of New Orleans, and at Tulane University. His primary teachers are Jeannie Little, Matthew Vaughn, Per Brevig, Steve Norrell, and Scott Hartman. Kate Withrow began playing violin in Austin, Texas at the age of five. She continued her studies with Andrzej Grabiec at the University of Houston and Mauricio Fuks at Indiana University. After playing in the Civic Orchestra of Chicago, Ms. Withrow joined the Louisiana Philharmonic Orchestra in 2007. She maintains a small private teaching studio and regularly performs as a member of Polymnia Quartet and the New Resonance Ensemble. Shane Courville was born in Lafayette, LA and started playing trumpet in 6th grade. After finishing his BM in trumpet performance at LSU he entered the Jesuits and taught high school band while composing and performing with different groups including Rome Festival Orchestra. He has lived in Bolivia, Mexico, and Italy which have influenced his music and art. After leaving the Jesuits in 2008 he moved to New Orleans where he taught and collaborated with different groups including Chard Gonzalez Dance Theatre and Rivertown Repertory Theatre. After finishing his MM at the University of Louisiana Lafayette and founding their New Music Ensemble he began working on his DMA at LSU in Baton Rouge. His opera, The Return, was premiered this past March in Lafayette and he is currently working on another opera commission to be performed in 2017. Brittany comes from Minneapolis, Minnesota where she earned her B.M. in music education at the University of Minnesota with an emphasis on classical percussion. She studied with Fernando Meza (percussion), Steve Yeager (vibes), and Phil Hey (jazz drums). While in Minneapolis, Brittany performed with the Minnesota Brass Indoor Drumline, served as an artist liaison for the 2010 Marimba Festival, and she was the marimba soloist for the St. Paul JCC Orchestra in the spring of 2010. She also spent 3 years teaching drumline with various local high schools. Since moving to New Orleans, Brittany has performed around town as percussionist, marimbist/vibraphonist, cajon player for various songwriters on and off Bourbon Street, and drums for a funk/rock band. She has been playing extensively with a local Scottish orchestra as fiddler and bodhran player since 2014. She enjoys participating in the local Irish session every Monday night. Currently, she is also part of a new duo playing works for percussion and flute. When not playing music, Brittany is the Office Manager of the New Orleans Trad Jazz Camp (for adults), and she loves to bike and dance and aspires to be a world traveller following her love of Celtic and Latin music and cultures. Alfonso Noriega was born in Oviedo, Spain and is currenty the violist of the Ulysses Ensemble and the Lucerne Festival Alumni Ensemble, with past recent summer performances at the ManiFeste, Spoleto, Lucerne and Aldeburgh Festivals. He has freelanced with the Manufaktur and Hong Kong New Music Ensembles and with the symphony orchestras of Birmingham, Hong Kong and London, with conductors including Colin Davies, Nelsons, Dudamel, Gaffigan, Robertson, Heras-Casado, Metzmacher, Vis, Maazel, Rattle and Pomarico. A former viola fellow at Ensemble Modern and the Banff Centre, he has worked with Boulez, Holliger, Knussen, Rihm, Pintscher, Hosokawa, Bresnick and Theofanidis, performing at AchtBrücken, Witten, Gaudeamus, BBC Proms, Norfolk, ZeitGenuss and ISCM Festivals. 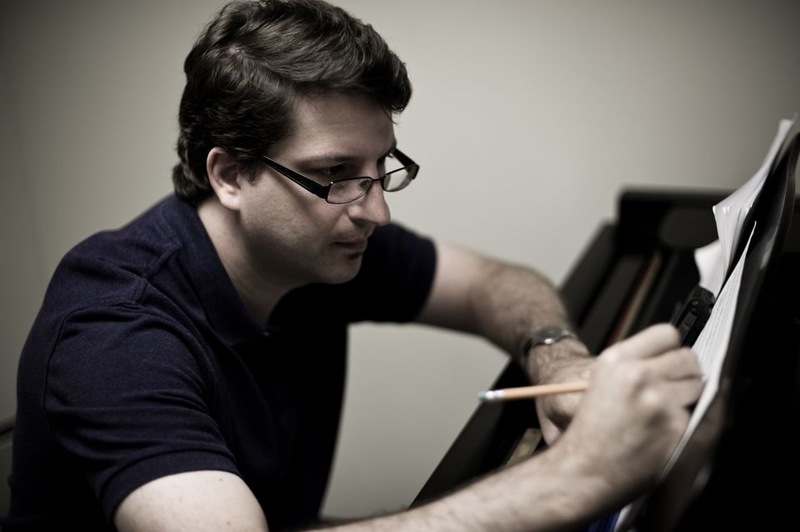 Alfonso holds master’s degrees from the Guildhall School in London and the Hochschule für Musik Frankfurt and has taught at the Montana State University and the US Montecito Festival. He is the recipient of the 2009 Birmingham Music Society Award.